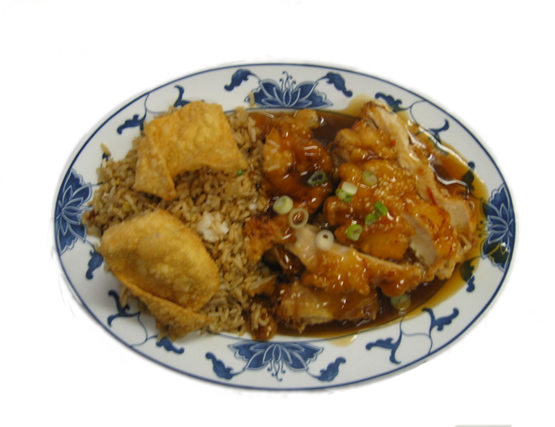 Deliciously seasoned chicken topped with our smooth golden brown Mandarin sauce. 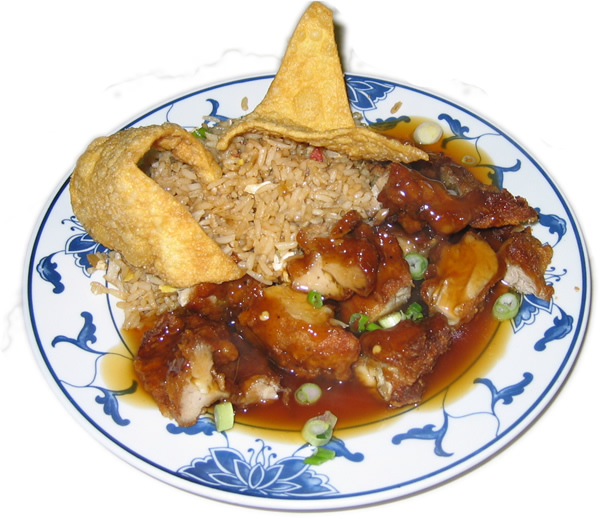 Your choice of seasoned fried chicken or cubes of pork served in our true fruit sweet & sour sauce. 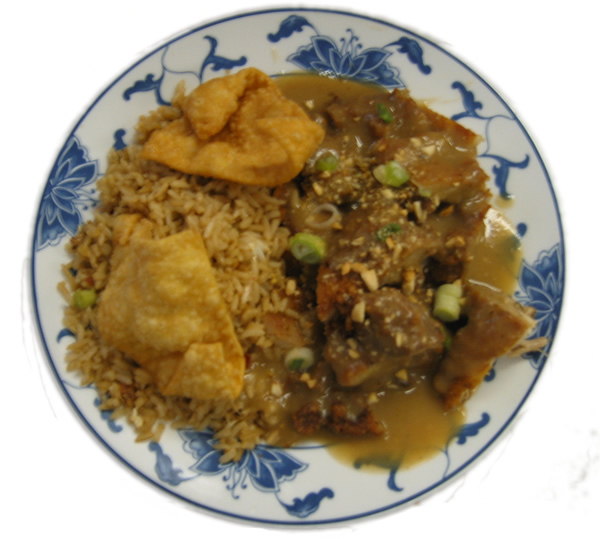 Your choice of fried chicken or pork smothered in our luscious, rich Tung Cho sauce. Butterflied shrimp coated with our secret recipe Tung Cho sauce. 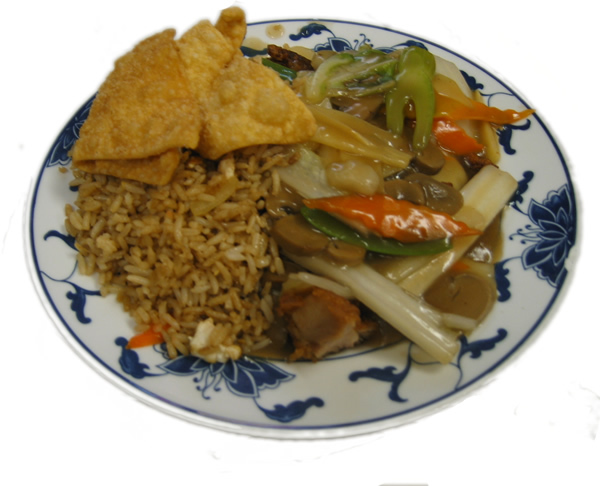 Boneless fried chunks of chicken topped with stir fried Chinese vegetables. 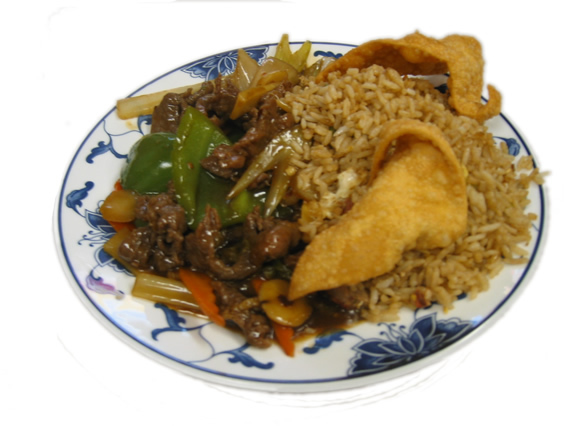 Your choice of sliced chicken breast or sliced steak stir fried Szechwan style in our signature Hot & Spicy sauce. Tender shrimp stir fried with vegetables in our Hot & Spicy sauce. Strips of steak stir fried with onions and bell pepper in a garlic and black bean sauce. 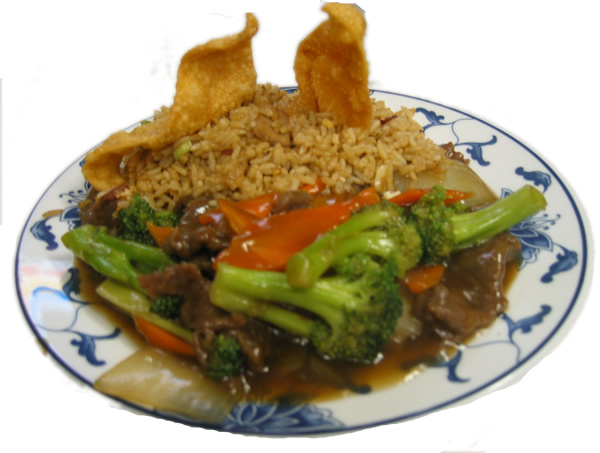 Strips of steak stir fried with broccoli, onions, and carrots in a dark brown Chinese sauce. 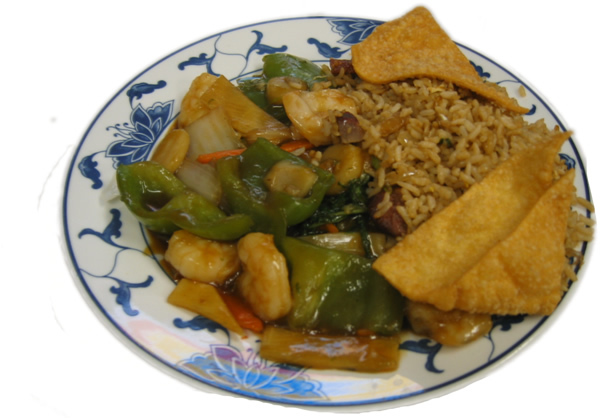 Jumbo shrimp stir fried with a variety of Chinese vegetables in a savory, light brown sauce. Our most popular dinner entree has made it to the lunch menu. Tender chicken breast fillets are fried in a sesame batter and smothered with our luscious Tung Cho sauce.